As you may now I’m a model builder with a special interest in the German Vergeltungswaffe V-1 , V-2 and the almost unknown V-4 Rheinbote. But my main interest is the V-2 from the start until the use by the British, Americans and also the Russian. 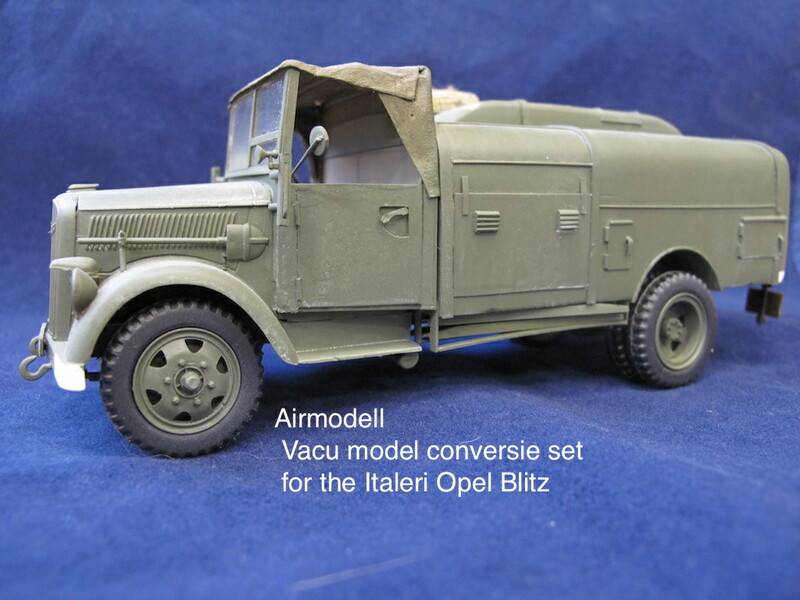 Some of you may follow the Meillerwagen build on this forum, but now I want to show some finished models of the vehicle column of a V-2 battery. 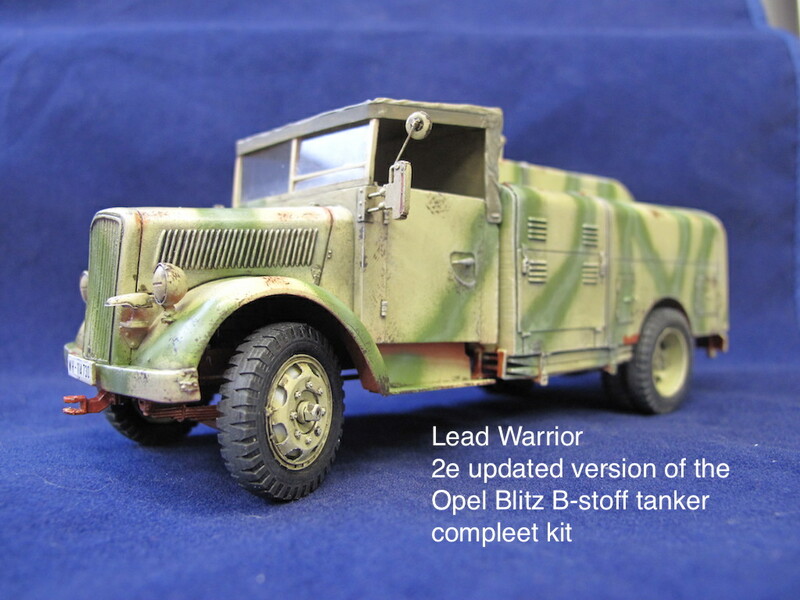 Specialy the B-stoff tanker for the alcohol feul of the rocket, working at a model for a Belgium model collector I did inspect my one B-stoff tankers and did find something special my column, it has in total 5 different models of the B-stoff tanker, made from the 80’s till now 2017 . 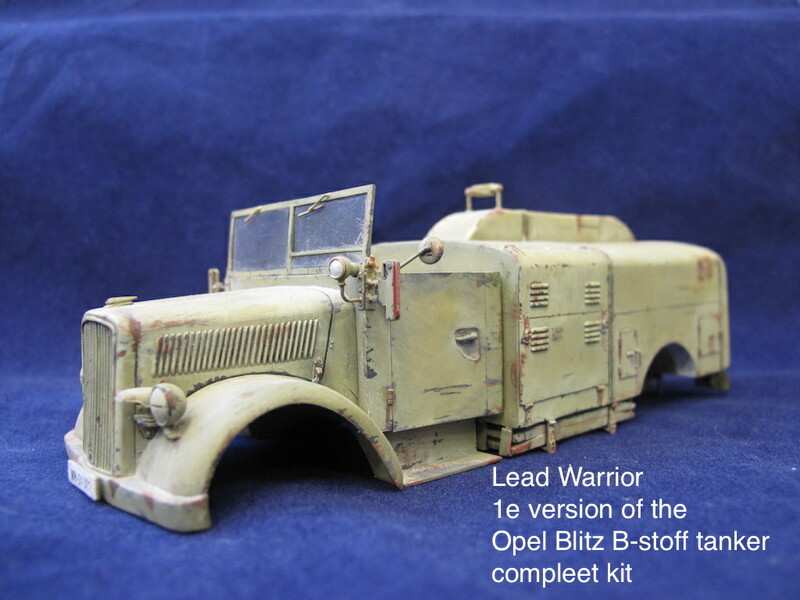 It starts with a Vacu model from Airmodels, then a Model from Azimut, followend by the first edition of Leadwarrior, the Italery B-stoff, and finaly the updated and improved second edition of the Leadwarrior. Looking at these models I can observe that my knowledge about the V-2 vehicles was not that much when I started building them. The Azimut got the in the last couple of weeks a painting update in to the three colour camouflage. 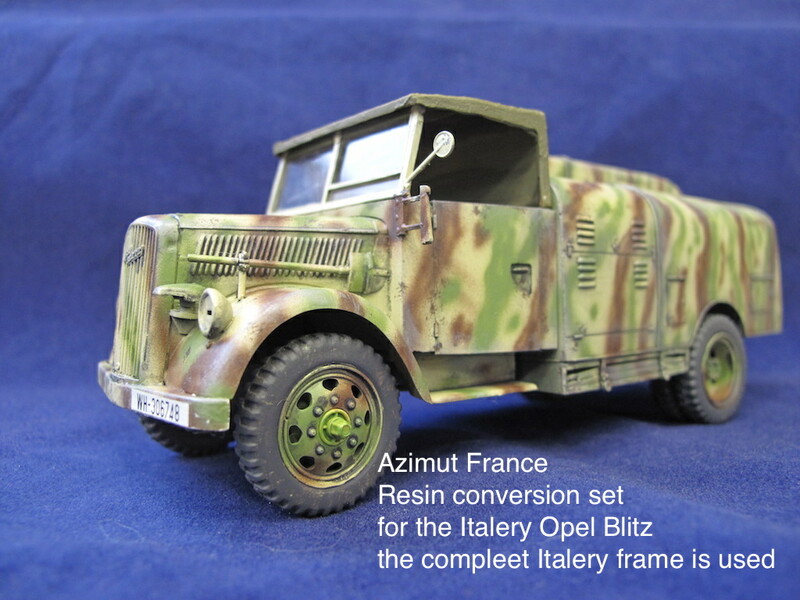 Bild B0048-45 *), this is a picture of a T-stoff tanker in black and white, using a converter program to get the colours back, and the new paint scheme as the result. Then a small disaster came to above when I take my 1e edition Leadwarrior model out of the vitrine cabinet , the weight of the resin body was to big for the tiny and thin parts of the frame. The body was directly resting on the tyres every thing was bent under it, so I need to make a new frame for this model. 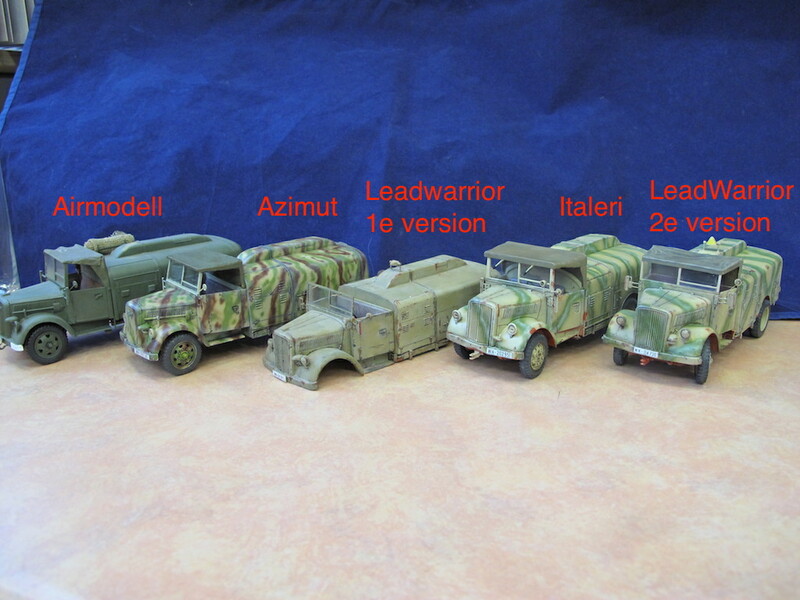 Ten the last two a Italeri and the second edition of the Leadwarrior B-stoff tanker. 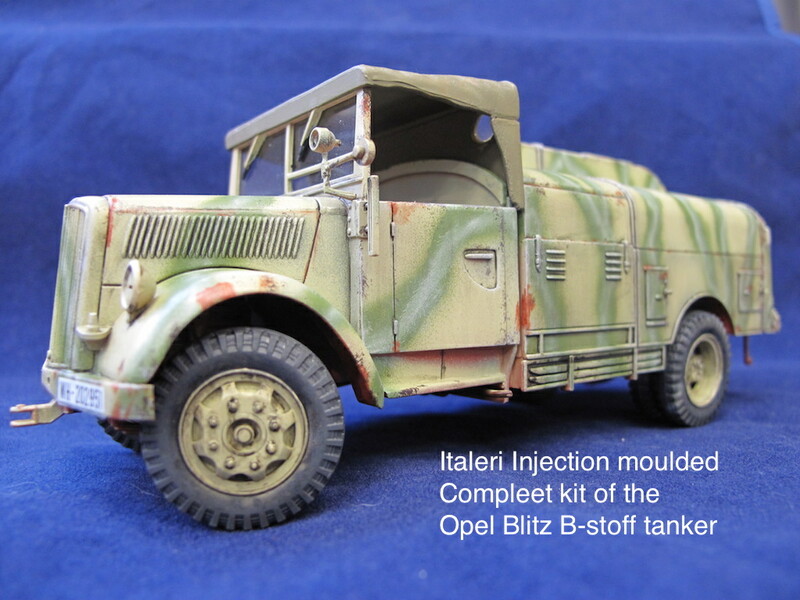 When building this injection Italeri tanker I did not gave me the good feeling but now when it is finished you have to take a good look to see what is resin and what is injection moulded. The change of the last colour is giving the vehicle a complete different look. And as last remark I have to compliment the Lead Warrior designers, because the listen to there clients. After building the first I had a conversation with them about some errors in the model, and to my surprise these are solved. Comment or questions are very welcom. *) Bundesarchive collection of Peenemunde pictures. PS, You can write your messages to me in the German language, I do understand it but can't write to you in German Sorry!! T-34/76 STZ Mod. 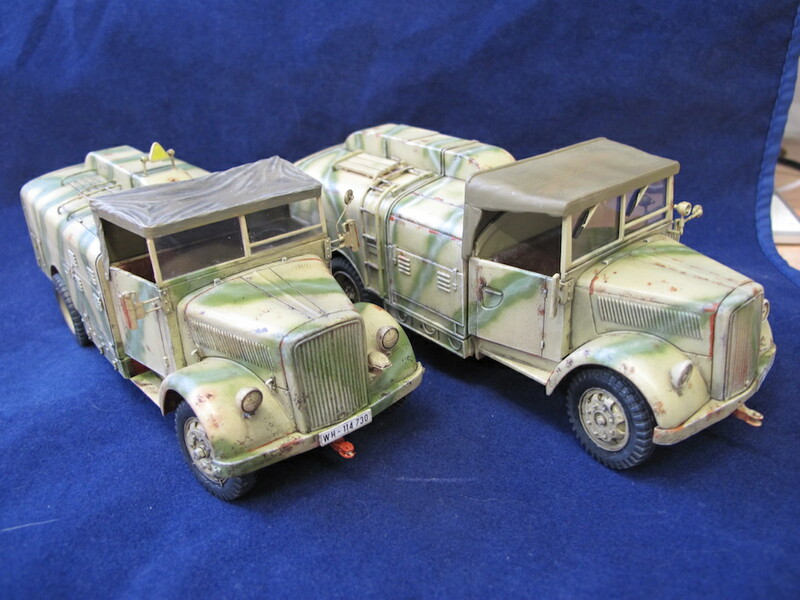 1942 » « ClassyHobby Sd.KFZ 123 Panzerkampfwagen II,Ausf.L "Luchs" in 1:16 FERTIG,Kommentare Feuer frei!!! The Feuerleitwagen for the V2 rocket.